After their great and raw performances in the Silver Linings Playbook, co-actors Bradley Cooper and Jennifer Lawrence are back for another serving of period movie, premeditated to be equally award-worthy: Serena. Have taster of this wonderfully told story in its new theatrical trailer. The film is directed by Susanne Bier. Alongside actors Cooper and Lawrence are Rhys Ifans, Sean Harris, Toby Jones, Sam Reid, David Dencik, Blake Ritson, Ned Dennehy, Charity Wakefield, Michael Ryan, Kim Bodnia, and Ana Ularu. It was written for screen by Christopher Kyle, based on the novel of the same title by Ron Rash. Watch the new trailer of Serena, starring Bradley Cooper and Jennifer Lawrence. The film, Serena, is set in the North Carolina mountains at the end of the 1920s. George and Serena Pemberton, love-struck newly weds, begin to build a timber empire. Serena soon proves herself to be equal to any man: overseeing loggers, hunting rattle-snakes, even saving a man’s life in the wilderness. With power and influence now in their hands, the Pembertons refuse to let anyone stand in the way of their inflated love and ambitions. However, once Serena discovers George’s hidden past and faces an unchangeable fate of her own, the Pemberton’s passionate marriage begins to unravel leading toward a dramatic reckoning. 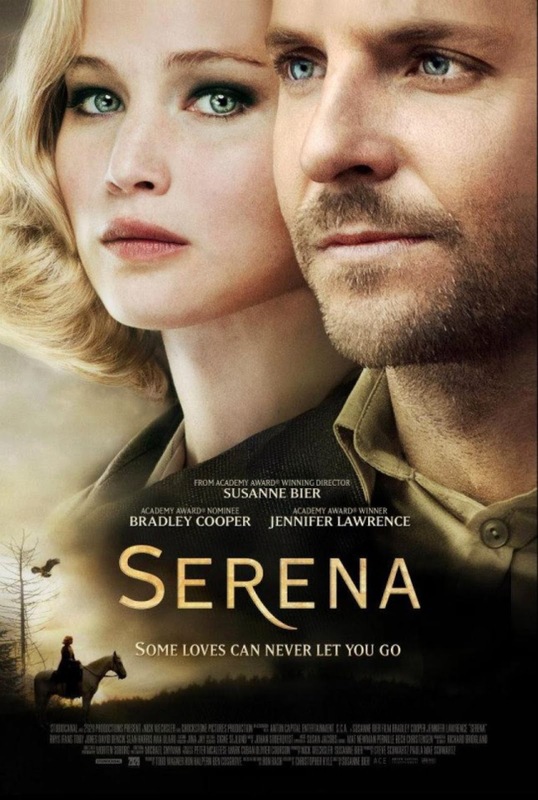 Serena premiered at the BFI London Film Festival on October 13, 2014 and in the United Kingdom on October 24 of the same year. It will have a wider release on February 26, 2015.